Experience the warmth of an Irish welcome when visiting Northern Ireland. They say that the “warmth of an Irish welcome” stays with you long after you visit. But as great as the people really are on this tremendously friendly island, it’s the charm of Northern Ireland that will be kept in your memory for a lifetime. For example, Lonely Planet — the largest travel guide publisher in the world — recently named Northern Ireland’s capital city, Belfast and the Causeway Coast as 2018’s Number One Region in the World to Visit. Here are some of the amazing must-sees to enjoy on your next trip to Belfast and the Causeway Coast. 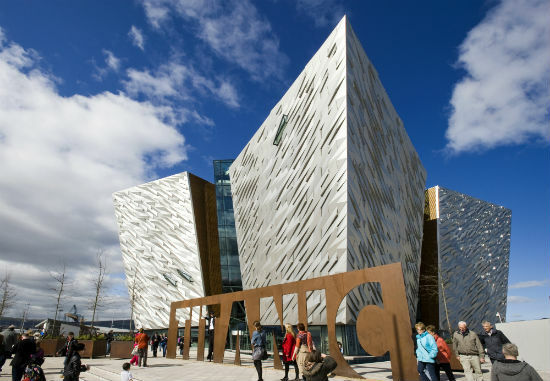 Did you know that the legendary ship, Titanic was built in Belfast? That’s right, and visitors of Titanic Belfast — the world’s largest Titanic visitor experience — can get up close and personal with where the legendary ship was built and walk the same White Star Vessel decks that the original passengers did all those years ago. This immersive exhibit was named The World’s Leading Tourist Attraction by the 2016 World Travel Awards and is definitely a can’t-miss destination on your trip to Belfast. For those looking to learn more about Belfast’s fascinating history, be sure to book a Black Cab or Black Taxi tour. Take in the city’s many historical sites including the famous political murals and stop off at destinations like the gorgeous Cathedral Quarter, home to the Metropolitan Arts Centre (MAC) where you can discover extraordinary exhibits from cutting edge artists, innovative plays and stage productions all year long. Conveniently located in the heart of the city and less than a mile from the MAC, is City Hall. With its breathtaking architecture and interior, this iconic building is something that really needs to be seen to be belieived. Tours of the grounds and the building can be booked all week long. A thirteen-minute cab ride will get you to Belfast’s beautiful Botanic Gardens. Guests of the Botanic Gardens will be able to gaze upon the plant life collected within the grounds and greenhouse, as well as travel through the garden’s famous Tropical Ravine. Just a stone’s throw from the Botanic Gardens lies Queen’s University. Established in 1895, the building’s stunning red-brick architecture and magnolia trees makes the university a sight to behold. What would a trip to Northern Ireland be without visiting some of their amazing castles? About seven miles away from the Botanic Gardens is Belfast Castle Estate where guests can tour the castle’s manicured gardens and take in the incredible city views below. For more castle adventures, you can travel eight miles north along the eastern coast to Carrickfergus Castle. This 800-year-old castle played an important military role in Irish history as it was used to fend off attacking ships from the Scottish, English, and French. Today, it remains one of the most well-preserved, medieval military posts on the island. 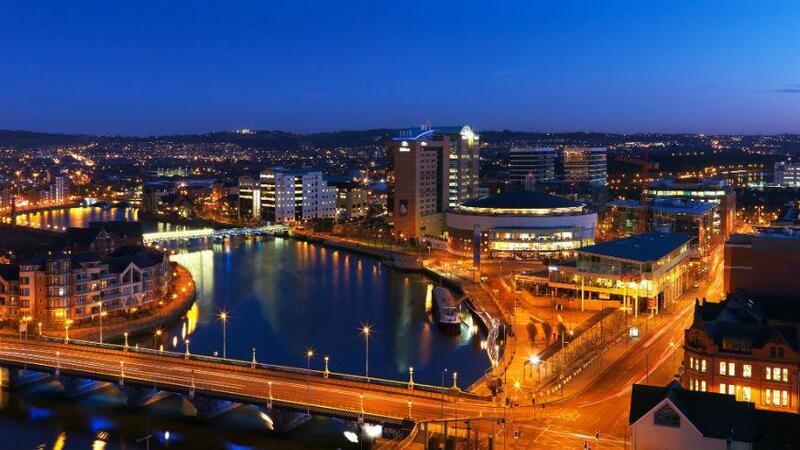 The city of Belfast is bustling year-round with festivals celebrating the best of Northern Ireland’s music, food, arts and culture. For those looking to travel this October, there’s no better time to check out the city than when it comes alive for the annual Belfast International Arts Festival. Running from October 16th to November 4th. This sprawling festival will take over different venues all over the city with an eclectic variety of performances and exhibitions across theater, dance, film and digital arts projects. Highlights from this year’s lineup include performances by African singer Angélique Kidjo and Folk and Blues legend Eric Bibb. There’s never been a better time to discover Northern Ireland. Book direct flights to Belfast from New York’s Stewart International Airport and Providence/Boston for as little as $115* one way. Learn more at Ireland.com/Belfast. *Terms and conditions apply. Subject to availability. Flights available through October.